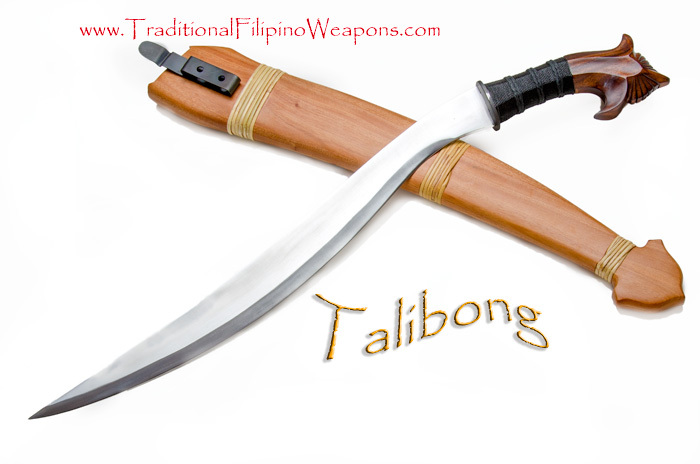 Talibong – The “Talibon” or “Talibong” sword’s exaggerated belly indicates its uniqueness. 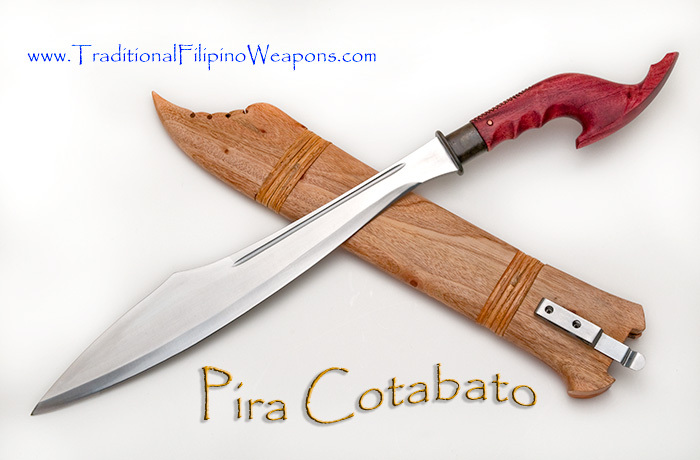 This sword was seen in Southern Luzon, but mostly in the Visayan region of the Philippines during the later part of the Spanish era into the early American regime. 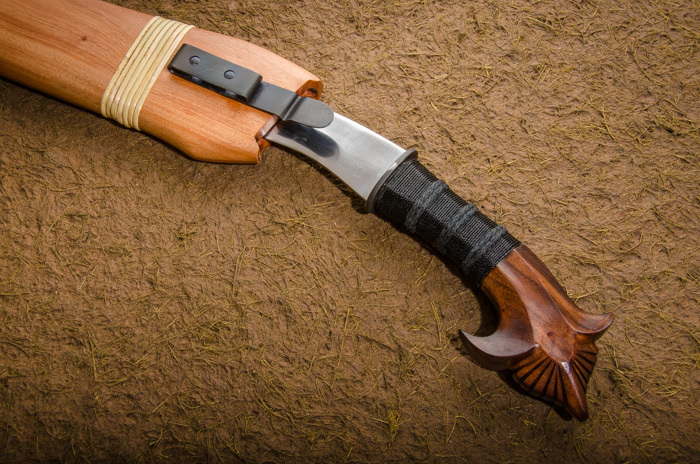 The Talibong was used mostly for combat purposes but occasionally doubled as a tool when needed for hunting and cutting up meat. 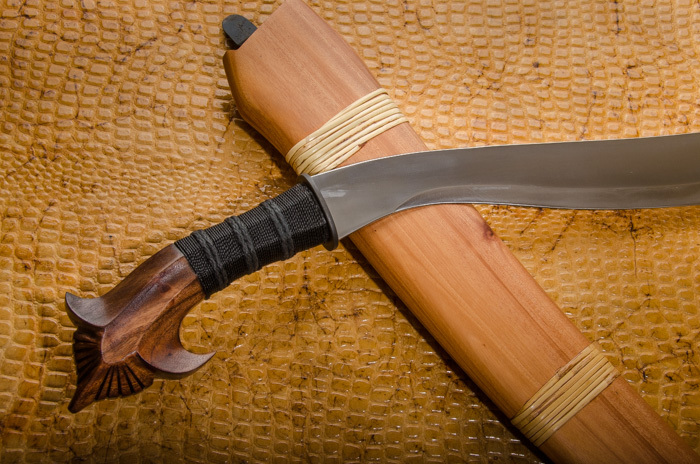 This sword’s shape can cut through grass easily while hunting animals then slaughtering the game when caught. 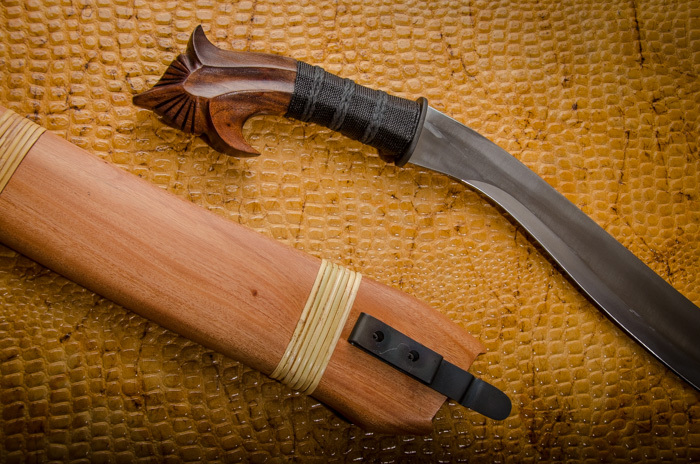 The Talibong, in well trained hands is very formidable. 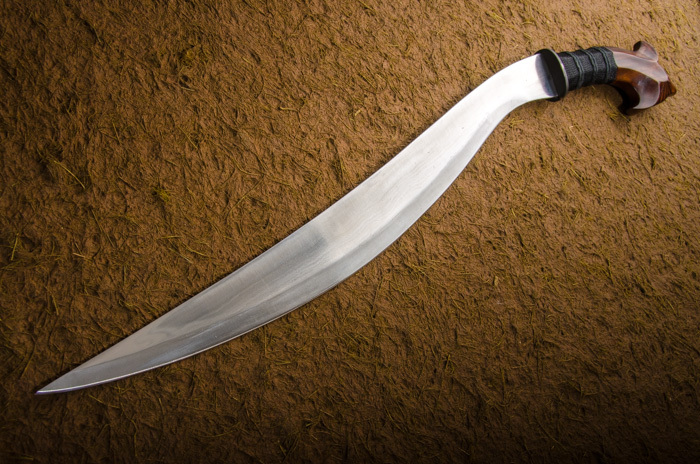 The Talibong is perfectly engineered for battle purposes to make the tactical thrusting to slashing easy to handle. 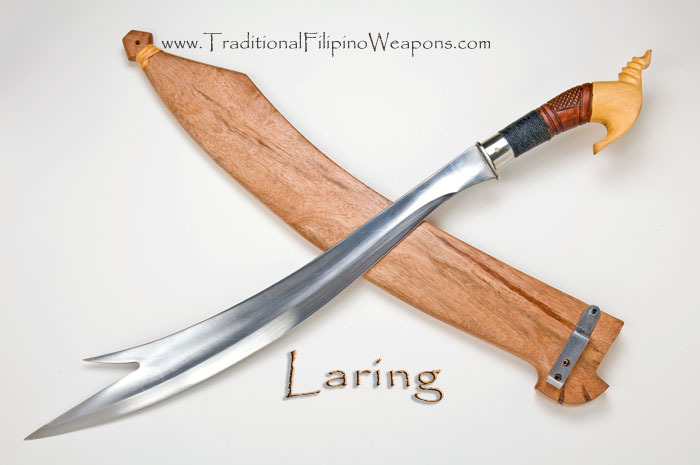 The Talibong is one of the major bladed weapons used in the Pekiti Tirsia Kali fighting system from the Philippines. 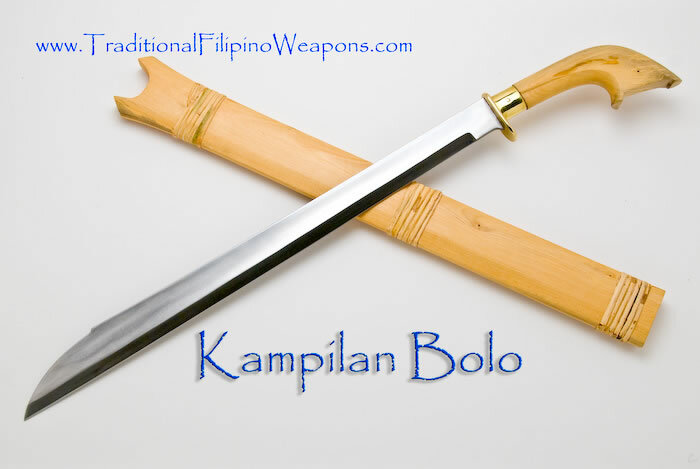 The handle used to be simple, more straight and ordinary until it was later modified by the Filipinos to be used more as a weapon during the later part of the Spanish occupation era. 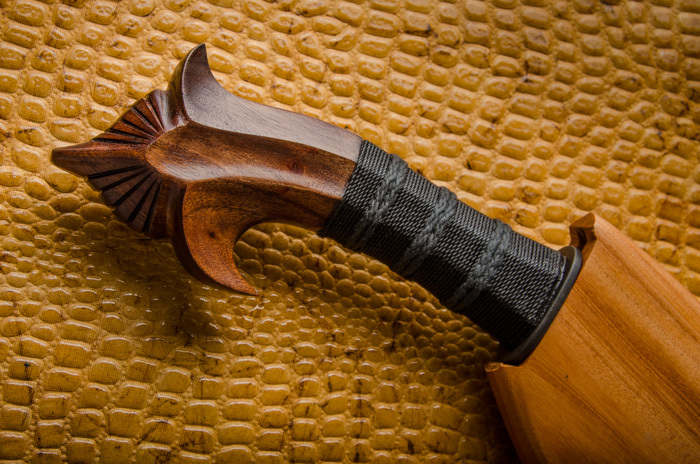 As you can see, the handle was designed to protect the fingers from getting cut during an encounter. 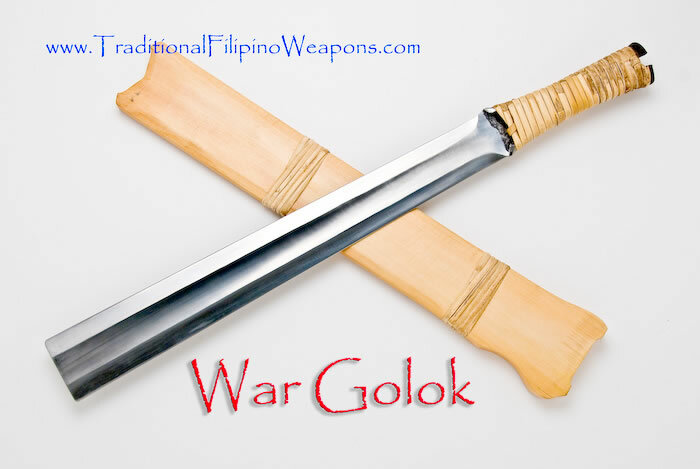 And like many Filipino weapons, the hooked part of the handle was used so a warrior would not tire out easily during battles. 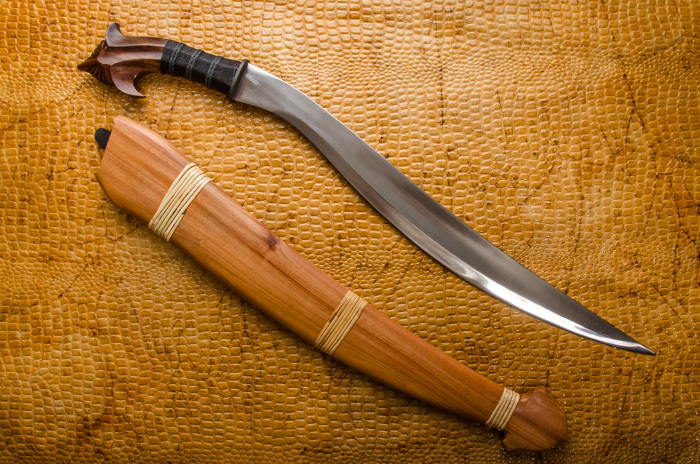 Which makes it much easier to wield the Talibong as opposed to having to grab it tight during fighting; its a more relaxed way to fight for the most part.